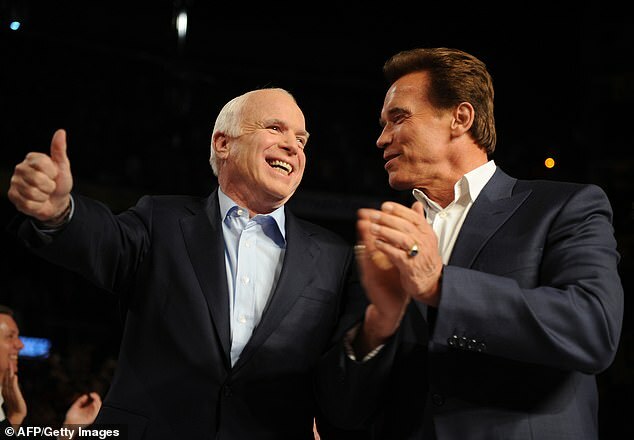 Arnold Schwarzenegger came to the support of his friend John McCain on Wednesday as he blasted President Donald Trump's recent tirade against the late senator. The former California governor called Trump's tweets and remarks against McCain 'disgraceful' and 'destructive'. 'He was just an unbelievable person,' Schwarzenegger explained to The Atlantic. 'So an attack on him is absolutely unacceptable if he's alive or dead—but even twice as unacceptable since he passed away a few months ago. 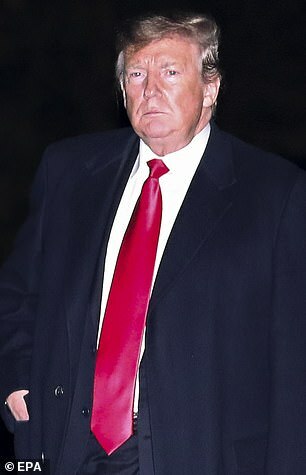 Schwarzenegger's comments came after Trump attacked McCain this past weekend on Twitter, focusing on the late senator's ties to the infamous Steele dossier that contains the unverified allegations the Russians have blackmail material on the president. On Saturday, Trump said McCain leaking the 'dirty dossier' was 'dark stain' on his legacy. 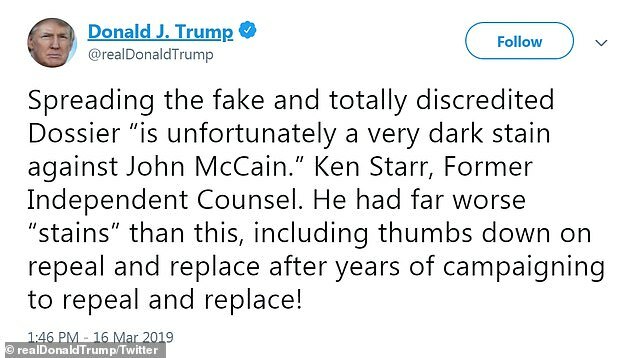 By Wednesday, Trump launched into a lengthy rant in which he claimed without citing evidence that McCain had pushed for a war and failed America's veterans. McCain and the Terminator first worked together in 2005 on spending initiatives in California before the actor-turned-politician endorsed the Arizona senator for president in 2008. The former Mr Olympia took the time to poke fun at Trump's 243lb physique. 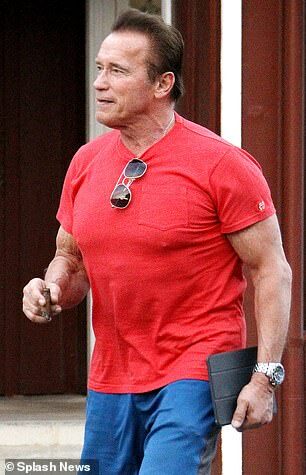 'I know he must be working out every day because he's so unbelievably in shape,' Schwarzenegger joked. 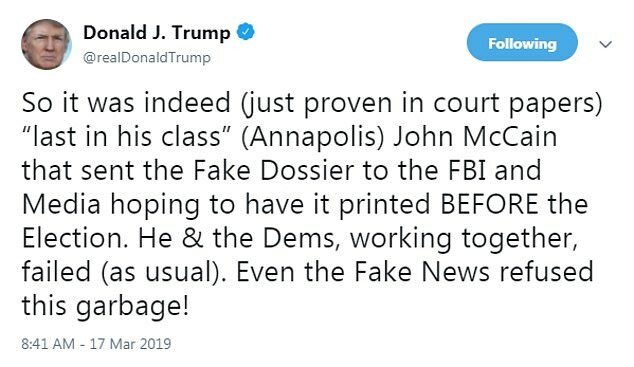 And while he doesn't care to embark in a petty feud with the Commander in Chief, the Kindergarten Cop actor does think the president's focus isn't in the right place. 'The president should lift people up, should lift the nation up rather than always tearing people down,' he stated. Schwarzenegger took one last jab at the President in telling him to focus on the First Lady's efforts to curb online bullying.